Majestic Rug Cleaning Co. Inc.
New York Carpet Cleaning®, Inc.
Pronto Oriental Rug Cleaners Inc.
Raytone Cleaning & Restoration Inc.
Our goal is to connect people with the best local experts. 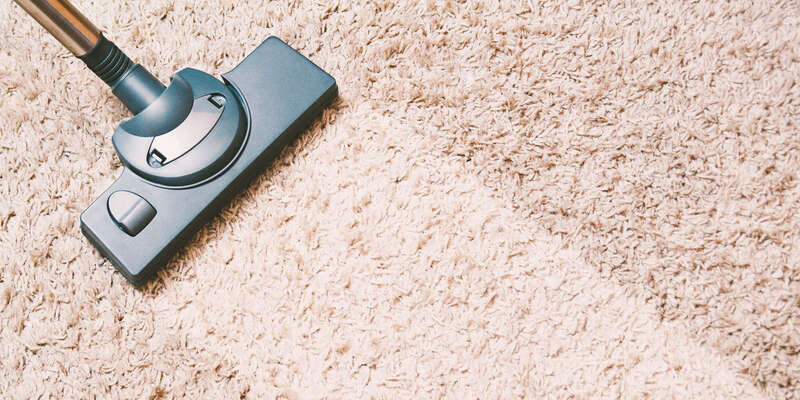 We scored carpet cleaners on more than 25 variables across five categories, and analysed the results to give you a hand-picked list of the best carpet cleaners in New York, NY. Benchmark Cleaning Service is a local New York cleaning business in business since 1999. Benchmark Cleaning Service strives to offer a full array of services for business and residential customers. These services include: carpet cleaning, upholstery cleaning, hard surface cleaning, window cleaning, building maintenance, office and residential cleaning, and move-in and move-out cleaning. Benchmark values the environment and offers EcoSmart cleaning. EcoSmart cleaning uses nontoxic cleaning supplies and includes other sustainability measures such as recycling whenever possible and taking public transportation to job sites when possible. Biomonde is a Brooklyn carpet cleaning company focused on sustainable and nontoxic cleaning solutions for homes, schools, and businesses. Biomonde uses nontoxic, natural detergents and stain removal and prevention products to clean carpets, draperies, and upholstery. The experienced staff knows how to brighten and maintain color in natural fiber carpeting without damage to the fibers and maintain commercial carpets. Additional services include pest and mosquito control, window washing, and a regular cleaning service to maintain the exterior of historic brownstones. Biomonde also offers nontoxic cleaning solutions to over 40 schools in the five boroughs. Carpet & Co. is a full-service carpet cleaning company serving the New York, New Jersey and Connecticut area. Technicians are expertly trained and use state of the art equipment and methods. Services offered include carpet cleaning and stain and odor removal for commercial and residential customers, personalized rug cleaning, drapery cleaning, and water damage restoration. Carpet & Co. is available 24 hours a day and will work with insurance companies to quickly and safely extract water, dry and dehumidify, and clean and restore carpet and upholstery in the case of water emergencies. Duraclean Service by Bob is a New York carpet cleaning business serving New York City, Long Island, and Queens, as well as Nassau and Suffolk counties. Duraclean cleans carpets and furniture (including leather furniture cleaning), cleans tile and grout, and removes water and restores carpeting after flooding. Evergreen Clean has 30 years of experience with carpet cleaning in the Long Island Area and takes pride in their reputation and excellent customer service. Evergreen Clean cleans carpets, removes stains, treats odors, cleans upholstery and drapes, cleans mattresses, cleans tile and grout, and cleans area rugs in their rug cleaning plant. Evergreen Clean also applies flame retardant to drapes and furnishings and handles water damage restoration. Green Leaf Carpet Cleaning offers a variety of carpet and floor cleaning services to the greater New York area. Green Leaf Carpet Cleaning cleans carpets and rugs, repairs rugs, treats and removes spots and stains, cleans upholstery and leather furniture, cleans tile and grout, cleans air ducts, and cleans and refinishes wood flooring. The focus is on removing indoor air pollution from all sources for a better indoor environment. J.L. Carpet & Upholstery is a boutique carpet and rug cleaning service serving all five boroughs of New York. J.L. Carpet & Upholstery begins each job with a pre-inspection to see what work is needed and preconditions carpets and rugs to loosen dirt for better extraction. After steam cleaning, remaining stains are treated. J.L. Carpet & Upholstery offers rug and carpet sanitizing, rug deep cleaning, rug and carpet deodorization, spot and stain removal, and carpet protection treatments. Local Organic Rug Care has fifteen years of experience cleaning carpets and rugs for the greater New York area. Local Organic Rug Care technicians are trained to work with a variety of fibers and to use safe, organic, non-toxic cleaning supplies. Local Organic Rug Care offers commercial and residential cleaning of carpets, rugs, and upholstery as well as water extraction and restoration in case of flooding. Majestic Rug Cleaning has provided expert rug, carpet, drapery, and upholstery cleaning in Manhattan, Brooklyn, Queens, the Bronx, Westchester and Nassau County since 1929. Majestic Rug Cleaning offers in-home carpet, drapery, and upholstery cleaning as well as free pickup and cleaning of area rugs. Majestic Rug Cleaning is able to clean Oriental and Persian rugs and perform hand and machine repair and restoration. They also remove wine and oil stains and treat pet stains and odors. Masterpiece Carpet Cleaning is a family-owned and operated carpet cleaning business. Masterpiece Carpet Cleaning provides services to Cresskill, Tenafly, Demarest, Alpine, Leonia, Bogota, River Edge, Rockleigh, Dumont, Bergenfield, Haworth, Oradell, Englewood, Closter, Northvale, Norwood, Paramus, Hackensack and Montauk. In addition to carpet cleaning, Masterpiece Carpet Cleaning also cleans floors and upholstery in cars, boats, and RVs and offers flood clean-up. Their technicians are available for residential and commercial jobs and can remove pet odors and clean tile and grout. Mello's Carpet, Tile & Upholstery Cleaning is a fully licensed and insured carpet cleaning business serving the state of New Jersey out of Union, New Jersey. Mello's uses eco-friendly products that are safe for children and pets and cleans carpet, tile, and upholstery and also offers pressure washing and commercial cleaning services. New York Carpet Cleaning has grown from a one-man operation to a much larger business with offices in New York City and Union City. The highly trained staff has earned New York Carpet Cleaning multiple Super Service Awards from Angie's List. New York Carpet Cleaning offers a range of commercial and residential carpet and rug cleaning options, carpet installation, rug cleaning and repair, and pet stain and odor removal. New York Carpet Cleaning also cleans tile floors, upholstery, mattresses, and curtains and drapes. Additional services include stone and marble restoration and water damage restoration. NYC Local Carpet cleans carpets, rugs, and upholstery in addition to repairing rugs and water damage restoration. This New York City carpet cleaning company uses environmentally friendly cleaning products and can use a variety of cleaning techniques including steam cleaning, dry cleaning, carpet shampooing, stain and odor treatment, and heavy duty cleaning and can handle both residential and commercial carpet cleaning jobs. Their employees are available 24/7 for flooding and other water damage from water extraction to cleaning and deodorizing surfaces. Their rug experts also repair rug damage both minor and major and take pride in their professional rug repair factory. Pronto Oriental Rug Cleaners has been cleaning rugs in Northern New Jersey and Manhattan since 1994. Pronto Oriental Rug Cleaners' carpet cleaning services include double process carpet cleaning, pet stain and odor removal, spot and stain treatment, upholstery cleaning, and rug and oriental rug cleaning. Pronto Oriental Rug Cleaners believes in providing quality service to protect the investments their customers make in rugs and carpeting. Raytone Cleaning & Restoration is a New York carpet cleaning company serving Westchester County. Raytone Cleaning & Restoration cleans carpets, rugs, upholstery, tile, draperies, and more. Area rugs are cleaned in a modern cleaning facility with guaranteed pet odor removal and hand-finishing for delicate rugs. In addition to cleaning services, Raytone Cleaning & Restoration also handles water damage with certified water damage technicians and specialized equipment to clean and restore carpets, sub floors, upholstery, and dry wall. Renotex has been cleaning carpets and more since 1945 in the greater New York City area. Renotex not only offers a wide variety of carpet cleaning methods, but as one of the earliest carpet cleaning companies, Renotex participated in the development and testing of these methods. In addition to carpet cleaning, Renotex cleans rugs and has extensive knowledge of natural fibers with a Wool Care Specialist certification from Wools of New Zealand. Renotex also cleans a variety of hard surfaces. Renotex can clean, polish, and treat or seal vinyl (VCT), ceramic, slate, granite, limestone and terrazzo and clean and polish wood floors and furniture. United Carpet Cleaners offers carpet cleaning and much more to New York, Connecticut, and New Jersey customers. United Carpet Cleaners uses non-toxic environmentally friendly products In addition to commercial and residential carpet cleaning, United Carpet Cleaners also handles fire damage restoration, water damage restoration, sewage damage restoration, and professional mold abatement.United Carpet Cleaners' staff are trained in rug cleaning and repair as well as furniture and upholstery cleaning, including leather furniture and mattresses.